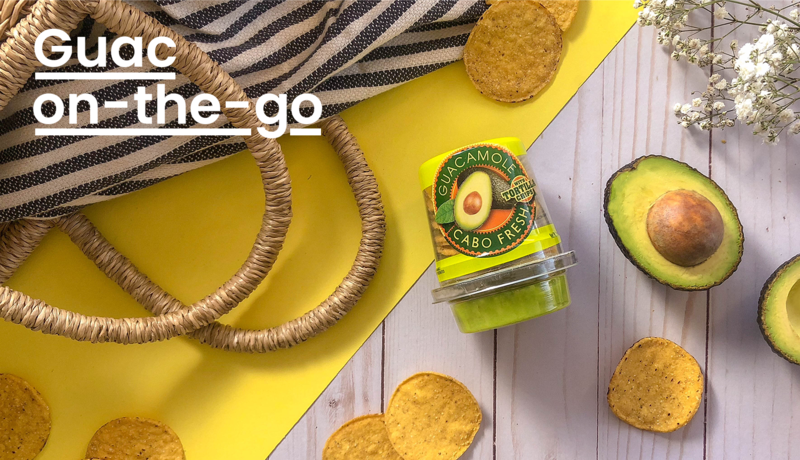 When you need a healthy snack, take it with you! 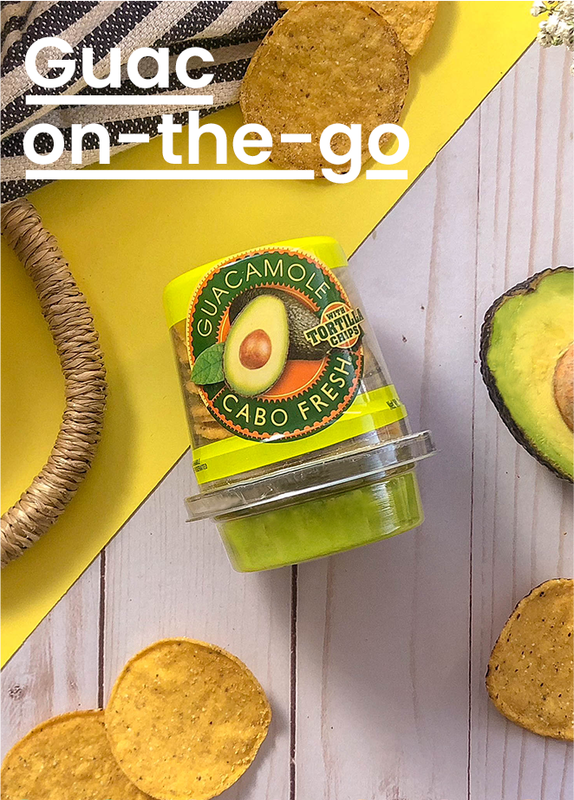 Guac on-the-go cups contain strong masa corn chips for maximum scoopability and chunky cabo fresh guacamole that you know and love. It's the perfect combo for serious lunchtime envy! 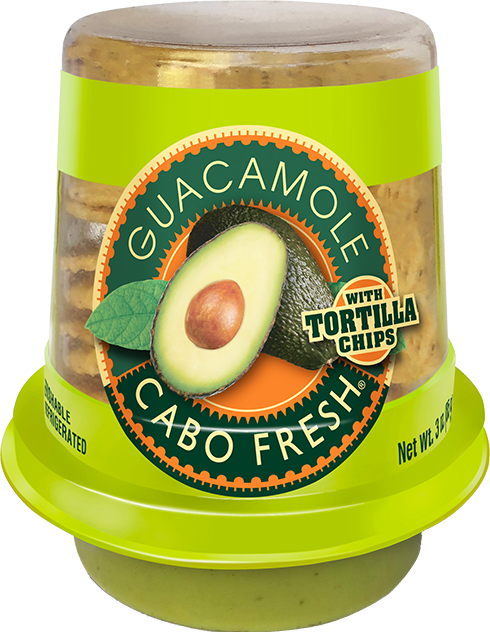 Guacamole Ingredients: Hass Avocado, Salt (contains 1% or less of: Vinegar, *Onion, *Garlic Powder, *Jalapeno, Ascorbic Acid (to maintain freshness), Citric Acid (to maintain freshness), Xanthan Gum.) *Dehydrated. Tortilla Chips Ingredients: Yellow Corn Flour, Vegetable Oil (contains one or more of the following: Cottonseed Oil, Corn Oil, Palm Olein, Sunﬂower Oil), Salt, Natural Coloring (Annato and Turmeric).